Vodafone Fiji FACT and INKK Mobile BOG champions Rewa and Dreketi will kick start the 2017 Courts Inter District Championship at Churchill Park in Lautoka. 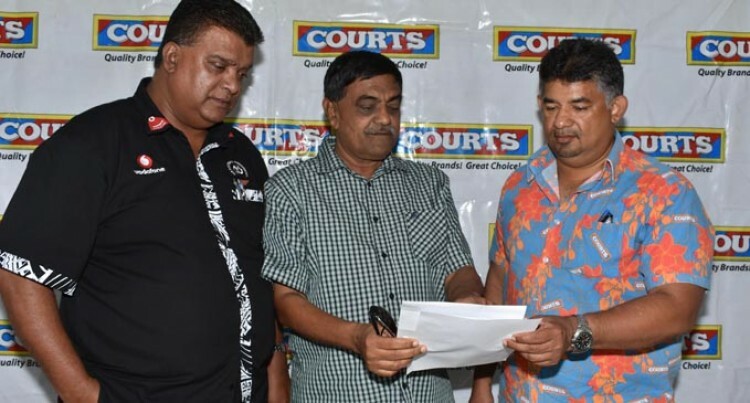 For the first time an official media briefing was held to release the fixtures yesterday at the Fiji FA Headquarters in Vatuwaqa by Courts director marketing, Anil Senewiratne. The 79th edition of the prestigious tournament will see for the first time the tournament starts on Tuesday October 10 on the Fiji Day holiday and the pool games ends on Thursday October 12 with a break on Friday and the semi-finals and finals will be played on Saturday and Sunday. The Rewa vs Dreketi match kicks off at 1pm. At 3pm Tavua will feature against Nadi while the official opening will be done at 5pm. The cracker match of day one will see Ba facing Labasa at 5.30pm and then will be clash of cities where host Lautoka will battle Suva at 7.30pm. On the second day on Wednesday October 11 at 2pm will be the clash of neighbors where Dreketi will face Labasa and at 4pm Suva and Nadi will take the field. Host Lautoka will play minnows Tavua at 6pm and the thriller match of Day 2 will see Ba facing Rewa at 8pm. On the third and final pool plays day will see at 2pm Suva takes Tavua while at 4pm Dreketi will play Ba. The exciting matches of Day three will see at 6pm Labasa facing Rewa and Lautoka battle Nadi at 8pm. The semi-finals will be played on Saturday and finals on Sunday. The pre-sale of the tickets will starts next week at Lautoka City Council and Fiji FA Headquarters in Vatuwaqa. The ticket price for Pavilion A will be $15 for adult while child under 12 will be $6. Pavilion B will $12 for Adults and child under 12 will be $5. The embankment ticket price will be $6 for adult while child under 12 will be $3.